Just Jeeps SmittyBilt R.A.D Rapid Air Deflator | Jeep Parts Store in Toronto, Canada. 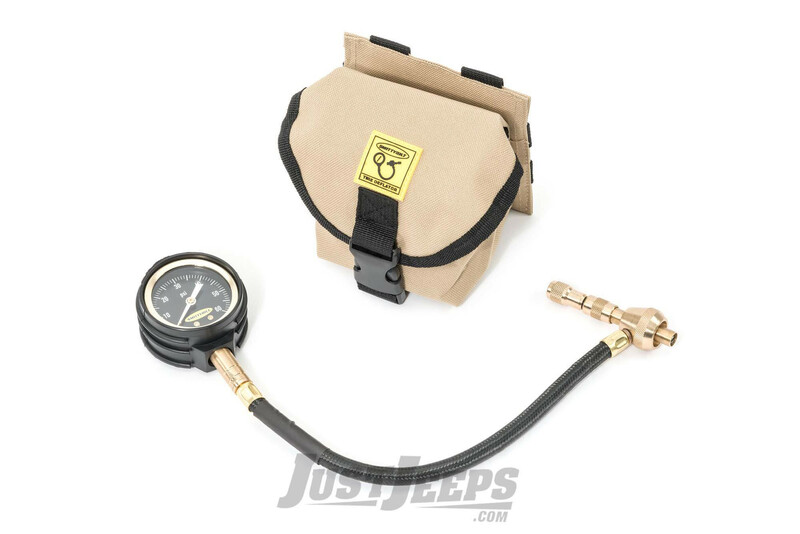 The Rapid Air Deflator accurately and rapidly reduces tire pressure in seconds for improved off-road performance. This tool will give you the precise air pressure you need utilizing a calibrated dial with 1PSI increments. With an easy to read 0-60 PSI 2" gauge, take the guess work out of airing down.